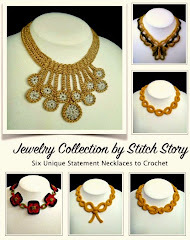 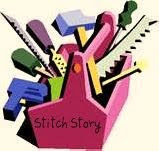 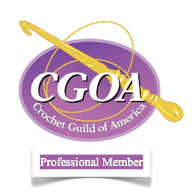 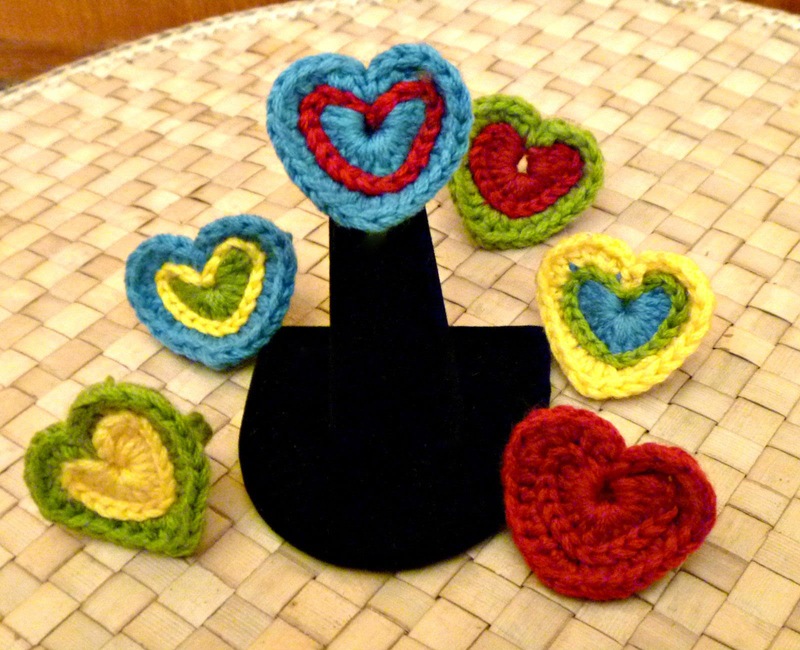 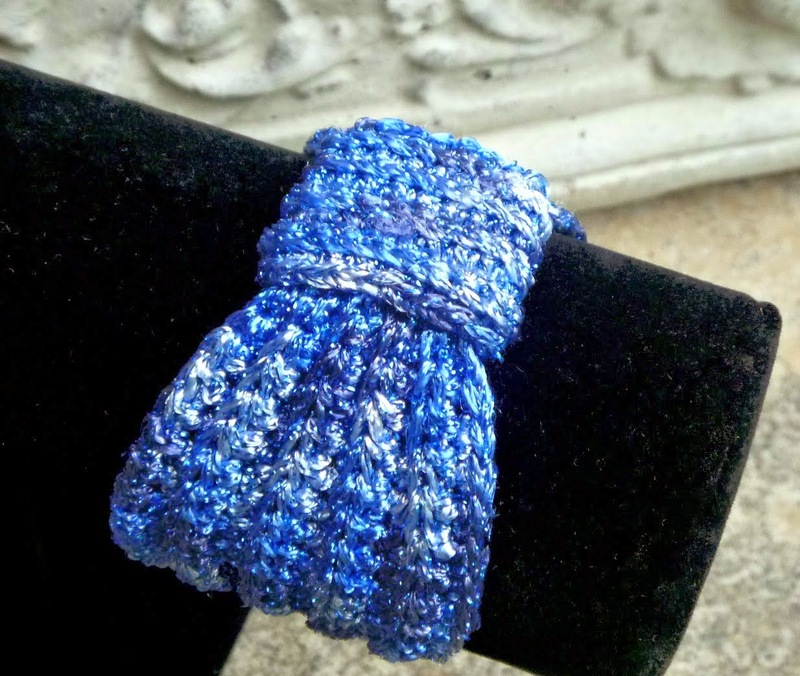 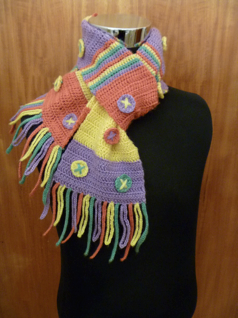 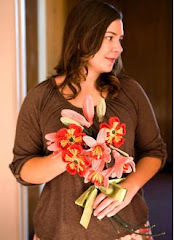 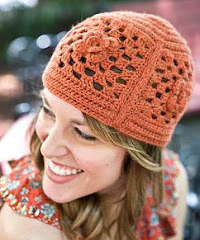 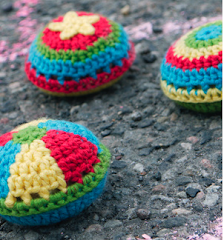 Stitch Story: Another Lost Freeform Crochet Treasure! 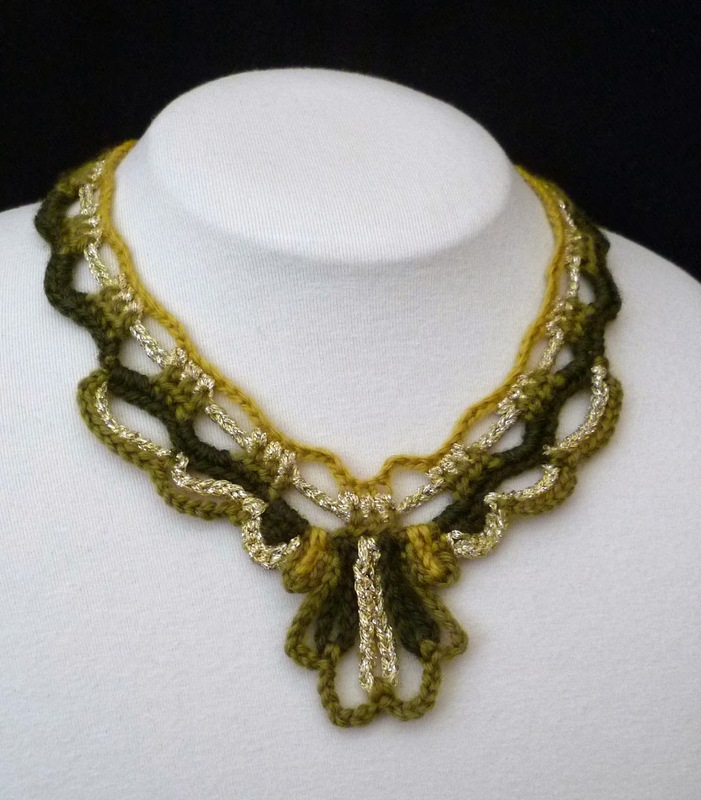 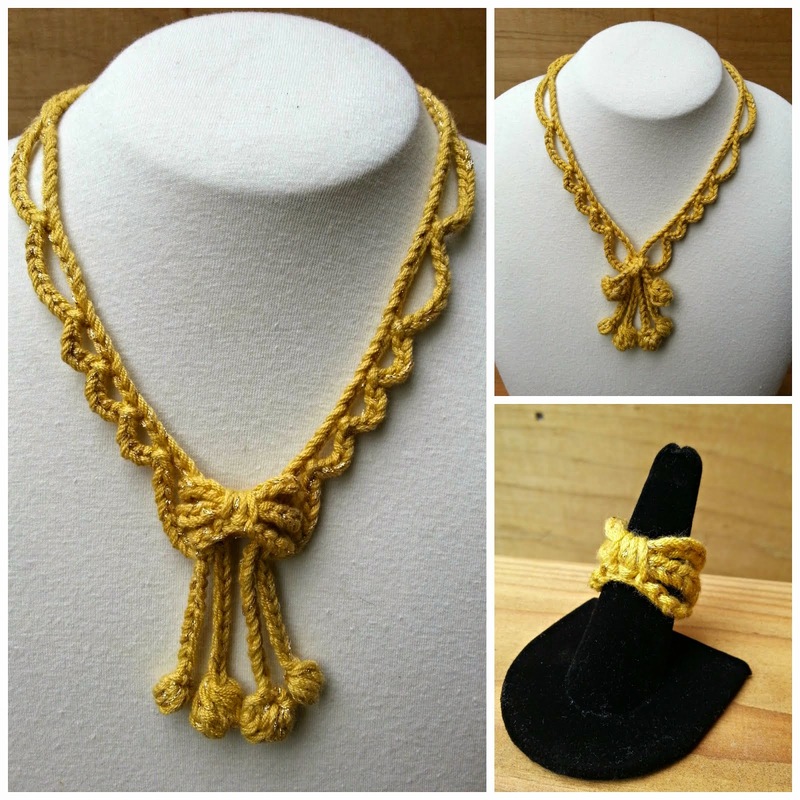 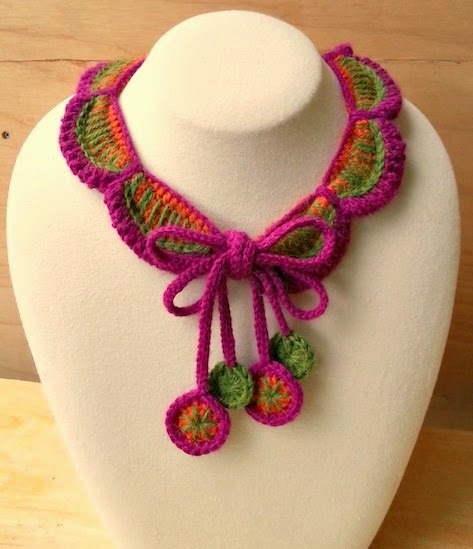 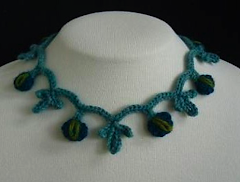 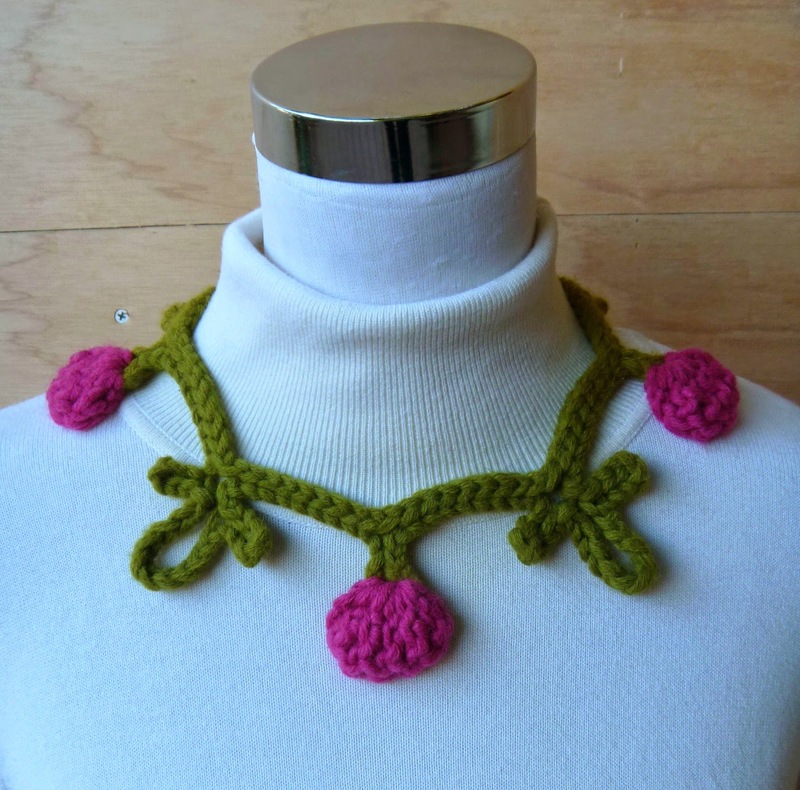 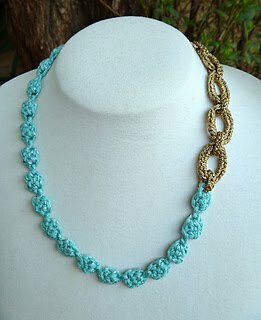 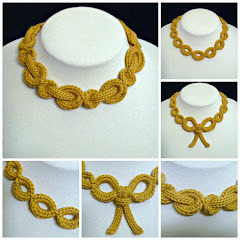 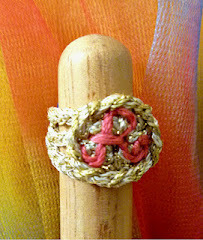 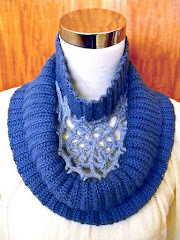 This is a necklace I made for a freeform crochet jewelry exchange. 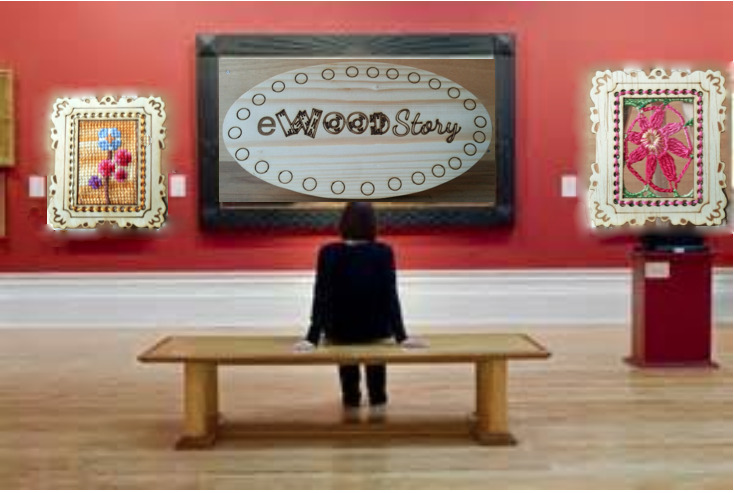 It is a multimedia piece with many interesting elements. 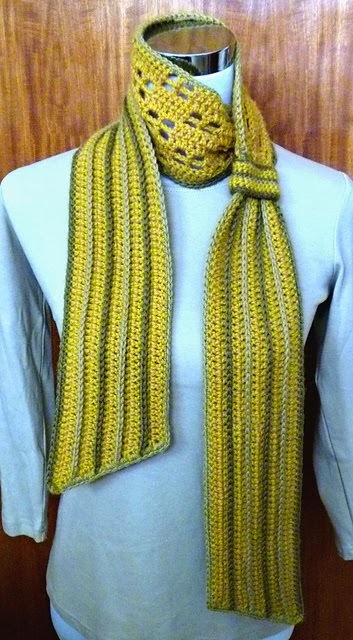 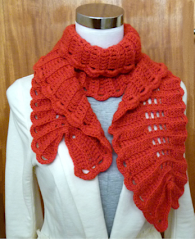 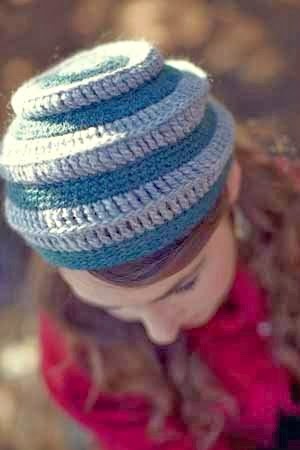 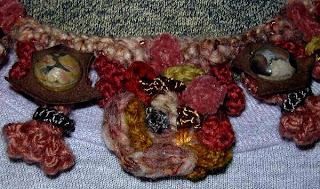 The main yarn I used was a one off skein I bought in London when I was a fashion design student. 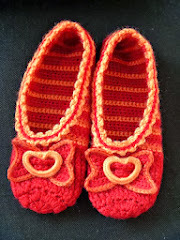 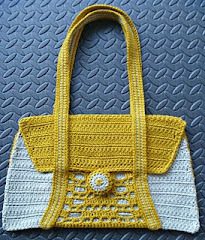 It was made by my favorite yarn company at that time, called Scheepjeswol. 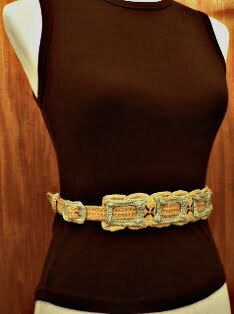 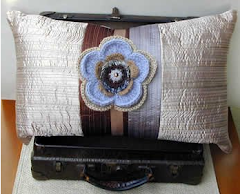 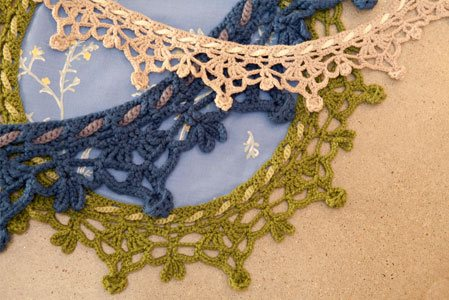 I loved it for its subtle changes in color, and saved it for several years before the perfect project came along! 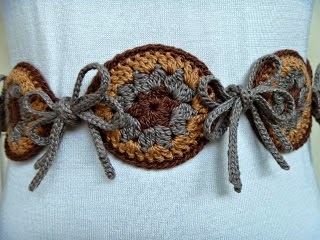 I also used some elastic thread I found at a sporting goods shop in the fishing supplies section. 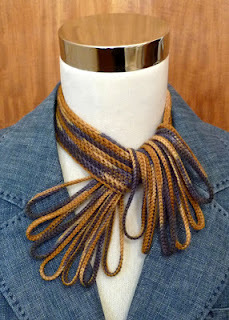 One of the fun things about freeform, is that nothing is off limits as far as materials go! 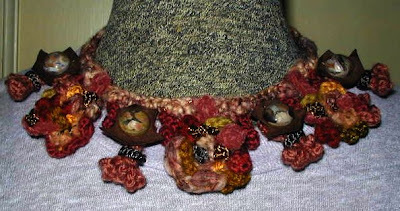 At the other end of the spectrum, I used some fine silk yarn, and chenille for accents. 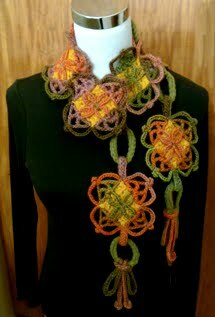 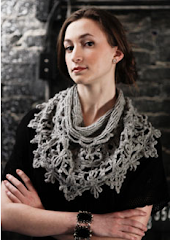 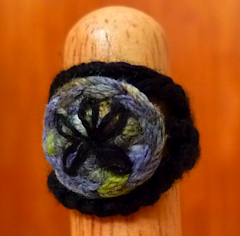 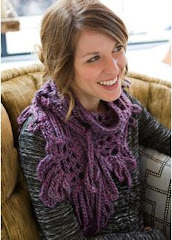 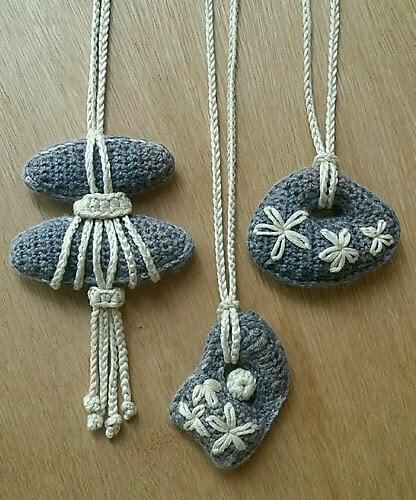 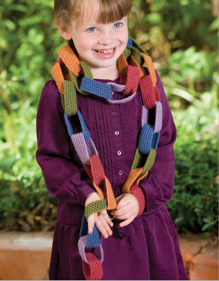 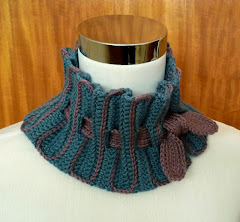 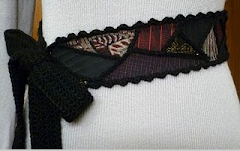 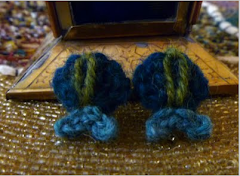 The 3 main medallions are different, but use the same yarns and are close in shape. 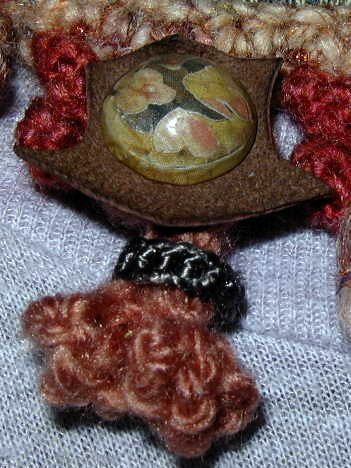 Below is a close-up of the pieces I created by cutting shapes out of leather scraps and then gluing wooden buttons on top that had been decoupaged with images that I found in magazines. 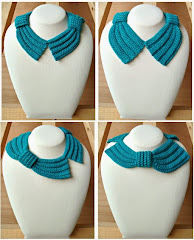 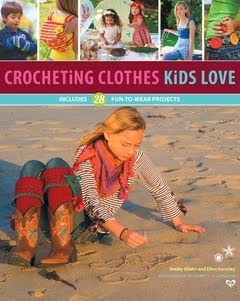 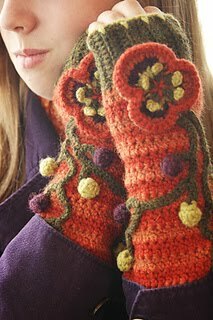 This project combined my love of crochet and collage making! 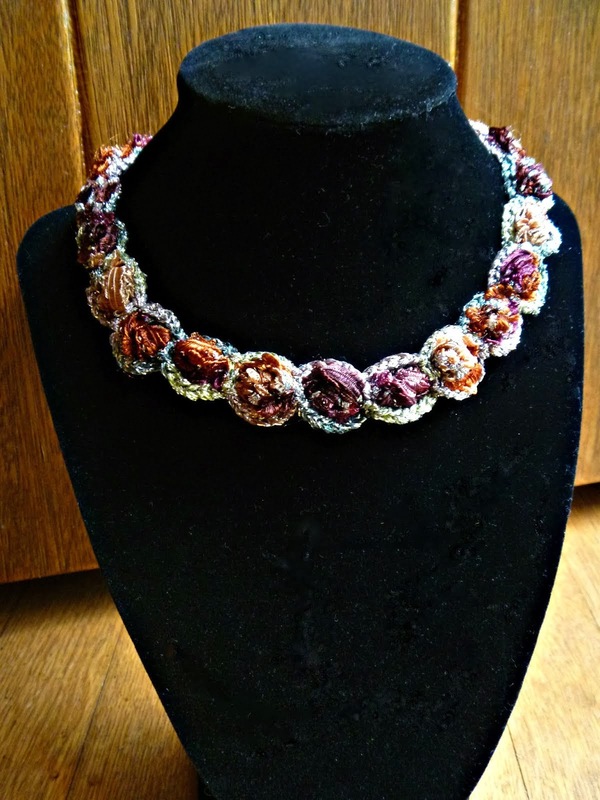 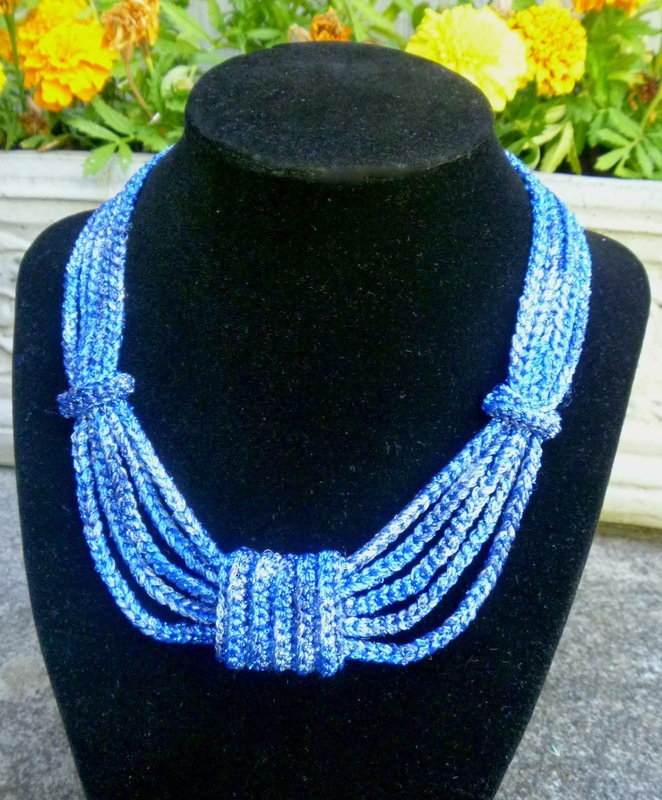 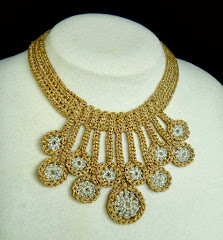 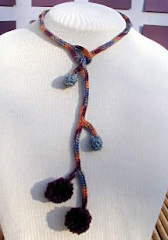 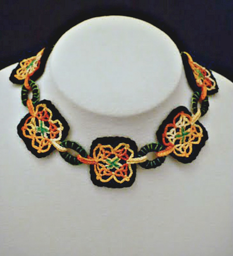 For the finishing touch, I embellished the necklace with a few iridescent seed beads along the band of the necklace, which gave life to the colors in the yarn. 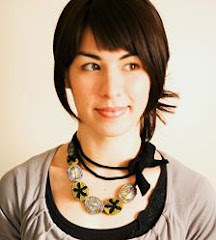 This was my first multi-media necklace, a necklace that showed me that creativity knows no bounds!